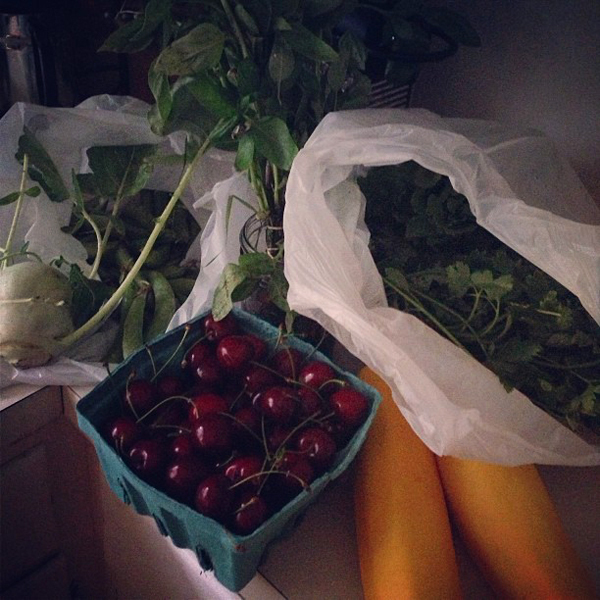 These CSA shares keep getting better! Cherries! Yellow Squash! Weird thingy I had to google - turns out its kohlrabi. I used the cherries in a cherry puddin'. 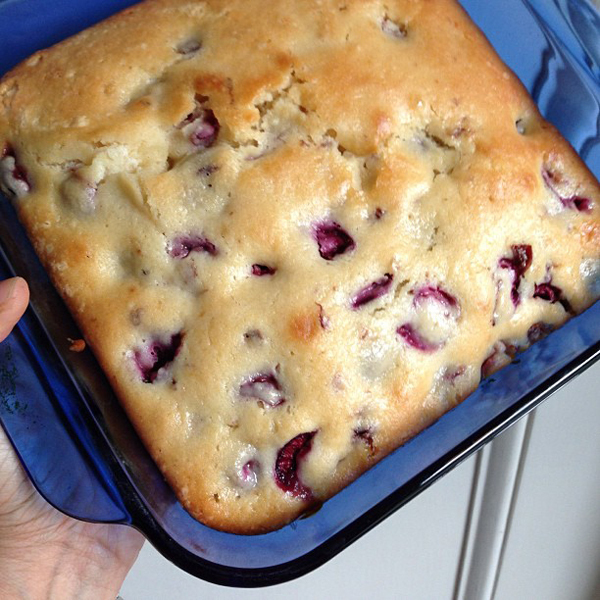 The same recipe for blueberry pudding with cherries instead. The weather is heating up, so we cook as much on the grill as we can. 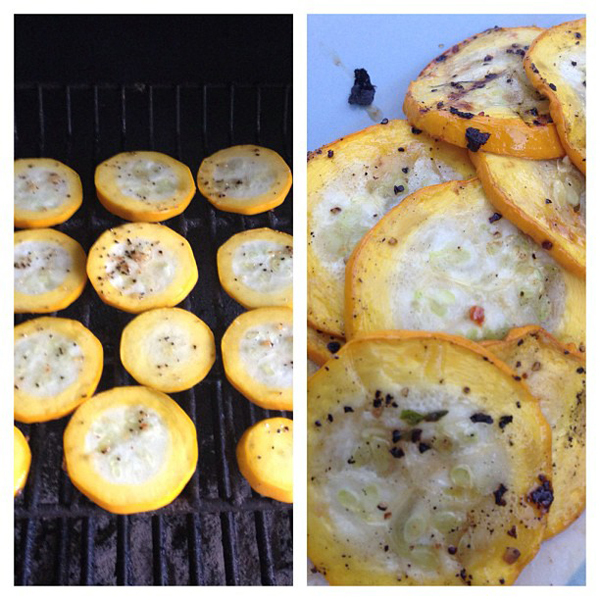 The yellow squash were sliced, tossed with oil and pepper and grilled. The kohlrabi however is still waiting for me to tackle it. Staring at me. Challenging me.